Singer Hyo Min has revealed some of the lyrics of her third mini album titled "Allure," raising questions about her comeback. 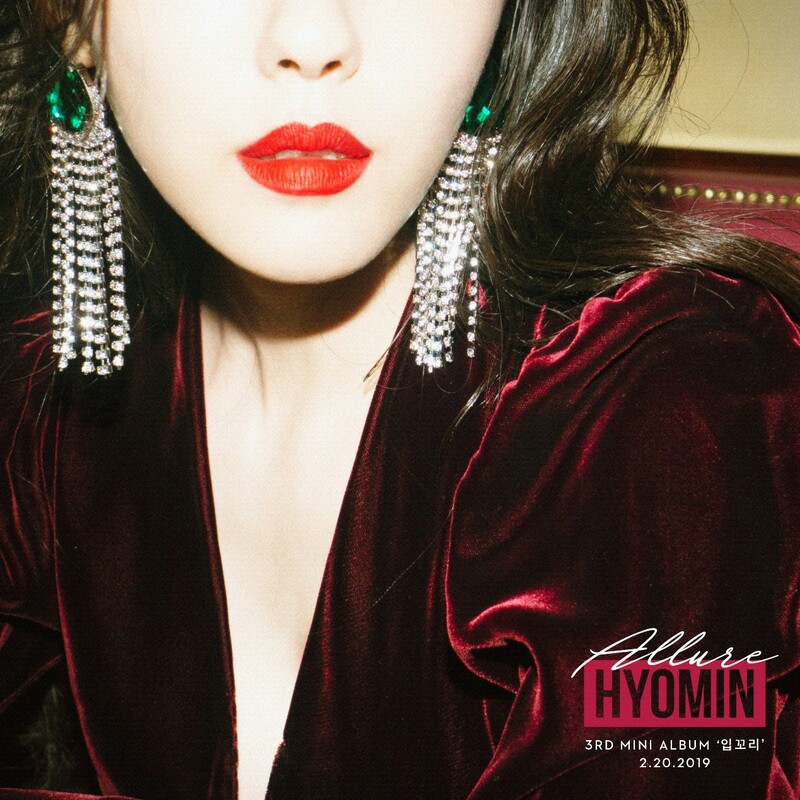 Coming back with her mini album "Allure" at 6 p.m. on this coming Feb. 20, it is her third mini album released as a solo, she plans to show deeper maturity and restrained charm through her title song "Allure." Especially she revealed some of the lyrics of "Allure" and made a comeback with different moods. The inspirational phrases are all the more intriguing. The album's title name is "Allure," which is ‘look’ in French word and "the quality of being powerfully and mysteriously effective or fascinating" in English. This implies the deep meaning of showing the unique music world of Hyo Min, it adds the expectations of fans. In addition, "Allure" produced by earattack of Brand new music, he is the one who produced lot of famous singer and group like the owner of brand new music Rhymer, Twice, Got7, BTS. And Hyomin is heralding trendy and sophisticated music to show. Yellow from the digital single "MANGO" with a color theme, Emerald from "Um Um Um" and now "Allure," will be released this time, it will complete the color variations with strong red color. Hyo Min is set to release her mini album 'Allure' at 6 pm. on February 20 and is stepping up preparations for her comeback.